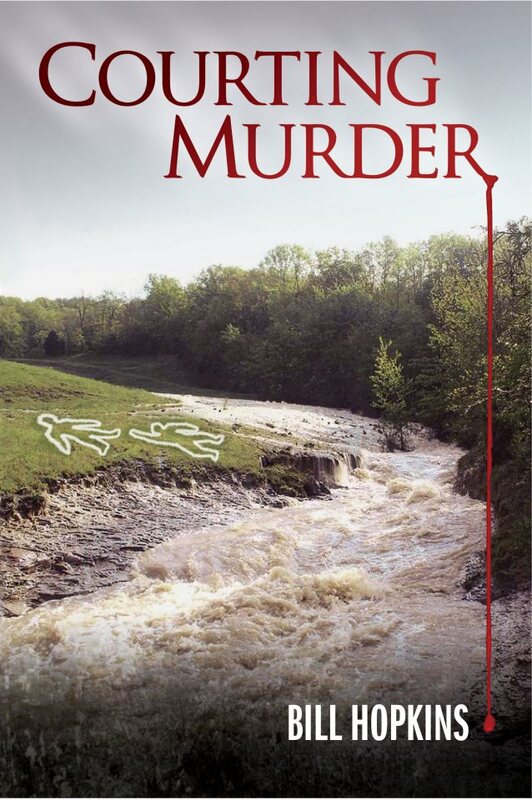 My guest today is retired judge Bill Hopkins, author of Courting Murder, published in OCtober 2012 by Southeast Missouri University Press. “I’m going to tell you how to diplomatically tell a judge that he (that’s used as an inclusive pronoun) has screwed up. You can use this information in your writing when you want your character–whether it’s a judge, lawyer, or party to the lawsuit–to realize that something bad has gone wrong during a lawsuit. This article covers only criminal jury trials. Know your stuff. I’ve made my share of errors and have received nasty reviews from appellate courts. But your judge should know his stuff. If he makes a mistake on the admission of evidence, then you must do your homework and find out what the correct ruling would be. Let’s say that your jurisdiction does not allow a spouse to testify against the other spouse. The prosecutor in your case has a wife that’s dying to spill the beans on her husband (the defendant). The defendant objects but the court (that’s what lawyers call the judge when they’re trying to be nice) allows it. You will have to learn about privileged communications in your state and why the judge’s ruling is wrong. Ask for a sidebar. That’s when the judge and lawyers discuss something out of the hearing of the jury but in front of the jury. Juries are human and when you do that, the jury will think that what just happened (i.e., the error the judge made) is a lot more important than it really is. If you want your character to bring attention to the error, have him ask for a sidebar. If you want him to minimize the error, have him ask for a short recess. Your character must always be respectful towards the judge, regardless of what kind of idiot you have sitting on the bench. Once a judge makes a ruling in the courtroom, all argument ceases, unlike what I’ve witnessed in television shows, movies, and books. Muttering and eye rolling doesn’t impress the judge, much less continued arguing. If the error is that the judge sustained an objection to a question that is clearly okay to ask, then have your character rephrase the question. If your character is the prosecutor and he asks, “Officer, was the defendant drunk?” and the defendant’s objection is sustained, have the prosecutor start over. “Officer, did you have reason to believe the defendant had consumed alcohol?” And so on. Always make a record. One of the best things I learned in judges’ college–yes, there really are such things–was to make a record. If your character wants a bloody iron pipe entered into evidence and the court sustains the other party’s objection, then he should make an offer of proof. (This is often done outside the hearing of the jury.) The lawyer who wants the pipe entered into evidence will have a chance to show and tell the judge why the pipe should be entered into evidence. Unless your character is the prosecutor (most of the time, a prosecutor can’t appeal a not guilty verdict) and the judge still refuses, then, assuming your character is convicted, he will have a record to show the court of appeals. Bill Hopkins is retired after beginning his legal career in 1971 and serving as a private attorney, prosecuting attorney, an administrative law judge, and a trial court judge, all in Missouri. His poems, short stories, and non-fiction have appeared in many different publications. He’s had several short plays produced. A book of collected poetry, Moving Into Forever, is available on Amazon. Bill is a member of Mystery Writers of America, Dramatists Guild, Horror Writers Association, Missouri Writers Guild, and Sisters In Crime. Bill is also a photographer who has sold work in the United States, Canada, and Europe. He and his wife, Sharon (a mortgage banker who is also a published writer), live in Marble Hill, Missouri, with their dogs and cat. Besides writing, Bill and Sharon are involved in collecting and restoring Camaros. 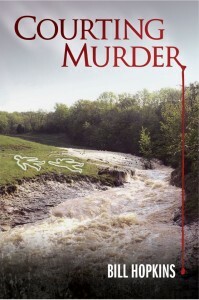 Courting Murder is his first mystery novel. 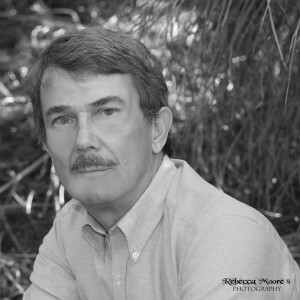 This entry was posted in Guest posts, writing about legal issues and tagged Bill Hopkins, Courting Murder, judges by Leslie Budewitz. Bookmark the permalink. Thanks for having me on today! Diane, a sidebar would only be “on the record” if the court reporter participates — so lawyers who want the conversation recorded make sure to ask for that. That can be hard for the reporter, though, so the judge might end up sending the jury out of the courtroom briefly — which can frustrate or annoy some jurors, so you have to be careful! Thanks, Judge Hopkins! I’m a Maine lawyer who litigated for about five years when I was a new lawyer, but moved into transactional work before I developed the depth of knowledge that would allow me to to offer the kind of advice you are able to give. I’m fortunate (small state, supportive bar) to know prosecutors, criminal defense lawyers and judges personally, and have found they are more than willing to review courtroom scenes I write for both tone and techincal accuracy. I’m sure their generosity would extend to writers who aren’t lawyers. Also, good advice that writers intending to write courtroom scenes ought to attend some trials. As we know, it’s not at all like TV! Brenda, you’re right about the advantages of a small state bar. Easier to share info, as you say, and I think lawyers have an extra incentive to be courteous when they know they’ll keep running into the same folks year after year — in their practice, and at the grocery store! Making a record can be as simple as asking the judge to note something in the file (i.e., the docket sheet) or having a court reporter take it down.